Recently, the OPEC countries and Russia (note: OPEC+) have agreed to increase oil output to a million barrels per day. In reality, the increase will amount to approximately 600,000 barrels, as “some countries” are experiencing problems with extraction, in general. This the was a diplomatic way of referring to the situation in Venezuela, where social, political and technological problems are intensifying. The OPEC nations, in principle, are prepared to make up for the Venezuelan quota, but they require its formal agreement. This essentially means that a crisis is at hand there, and OPEC is fully aware of the fact that Venezuela will not be able to revive its oil industry in the near future. Iran is seemingly following in Venezuela’s footsteps. As soon as sanctions on Iran are imposed, as a result of mounting pressure from the US, and chances are that these pending restrictions will resemble those in place before the conclusion of the Iran nuclear deal by Tehran and the six international intermediaries on its nuclear programme, the OPEC countries may need to make up for more than 2 million barrels by working together. Russia is not part of this organization, but considering the fact that the Russian Federation and the USA are both leading oil producers that do not belong to the cartel, they should be taken into account. Traditionally, Americans follow an independent oil export policy, and earlier, Russia followed suit by developing a policy that was independent of OPEC’s. But as a result of the sudden fall in oil prices in 2014, which caused serious financial and economic problems in Russia, Saudi Arabia and many other countries whose earnings depend on the “oil drug”, at present, Moscow prefers to reach a consensus on quotas with the cartel, first and foremost with Saudi Arabia. Otherwise oil prices may become too unpredictable for the Russian state budget. Clearly, this issue, and not only the love of football, brought the Saudi Crown Prince Mohammad Bin Salman Al Saud to the opening of the World Cup in Moscow. Iranians reacted to this visit quite nervously, and hinted that any “plots” to do with oil exports behind its back are simply unacceptable. Iran has clearly fallen victim to rumors, being actively spread by the West, about the “secret deal” struck by the Russian Federation and Saudi Arabia with the aim to replace OPEC with a new cartel, in which these two countries will have the final say. Tehran’s perception of any communication on this issue is also clouded by the worsening situation in the Iranian society, while Washington’s aggressiveness towards Tehran continues to intensify, and Trump is fairly close to initiating further hostilities against it, first and foremost in Syria. Americans need to isolate Tehran, as completely as possible, from any external ties, and it cannot be ruled out that during the meeting between Trump and Putin, scheduled for the middle of July, the US leader will attempt to incite tensions in the relations between Moscow and Tehran. As for the Kingdom of Saudi Arabia, Riyadh is always ready to trip Iran over, as it views Tehran as its main rival, and perhaps even an enemy, in the region. At present it is clear that the situational alliance between Russia and Iran in Syria is under pressure. Hence, on 21 June, the US State Department released a fairly stern warning about an immediate cessation of all military activities in the southern de-escalation zone in Syria, which was then quickly followed by an air strike against the Syrian divisions and Shiite military units near al-Tanf. On Saudi Prince’s arrival in Moscow, many Western analysts began talking about Russia’s and Saudi Arabia’s intention to create an alternative to OPEC, which is to be run by them, since both countries are leading oil exporters but cannot get the current oil cartel to reach essential decisions on setting quotas on “black gold” extraction. Another supporting argument used by the analysts is that serious maneuvers by OPEC+ members had been anticipated even before the OPEC+ meeting in Vienna. First and foremost because apparently, Russia had been planning to force the cartel to come to a decision on substantially increasing the oil output, by 1.5 million barrels per day. In addition, references to a statement by the Head of the Ministry of Energy of the Russian Federation, Alexander Novak, were made, according to which Saudi Arabia had seemingly agreed to increase overall OPEC+ oil output by the previously mentioned amount. However, it is widely known that Riyadh agreed to increase the overall oil output, but by only 500,000 barrels per day. In response, Iran stated that it was prepared to walk out on any deals if Moscow and Riyadh agreed to increase oil outputs. Since from the viewpoint of Tehran’s officials, a rise in oil outputs and a likely decrease in oil prices at a time when Iran, under pressure from the US sanctions, cannot increase its output or sales, would lend unwitting support to Washington’s attempts, aided by Saudi Arabia, to worsen the economic situation in Iran (note: the latest public protests in Iran are proof that Iran’s problems are serious indeed). This was the message voiced by Iran’s Petroleum Minister, Bijan Namdar Zangeneh, during his speech. He did not mention that Moscow was the catalyst behind the push to increase oil outputs, but it was clear to everyone that “rocks were hurled” not only in the direction of Saudi Arabia but also Russia. 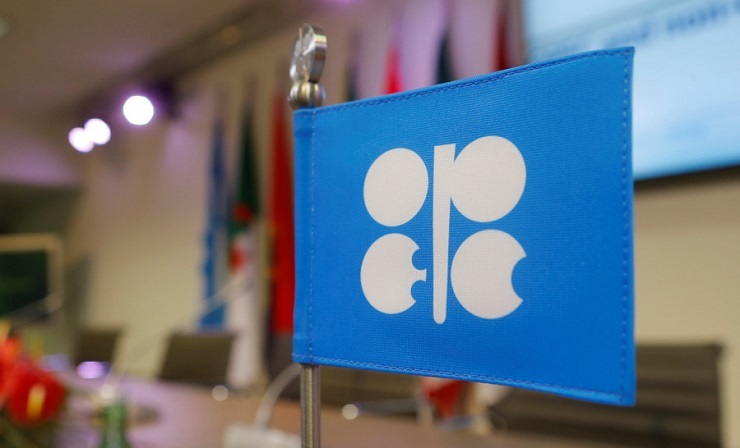 At the meeting, held on 22-23 June, the OPEC/Non-OPEC Joint Ministerial Monitoring Committee (JMMC) reached a compromise and recommended that the members could loosen restrictive measures and increase oil output starting on 1 July by 1 million barrels per day and not by 1.5 million. However, it is not as yet clear whether this decision will be supported at the meeting with more ministers in attendance. Most likely the decision will not be upheld since Bijan Namdar Zangeneh had left the committee session even before it ended, stating that the meeting was not productive. Perhaps, an agreement could have been reached even without Iran, but the number of those unhappy about the output increase has risen and includes Venezuela, Iraq and many other small exporters who, in practice, cannot raise oil outputs and will fall victim to a potential oil price decrease. Afterwards, more rumors started circulating in the West that Russia and Saudi Arabia were apparently planning on inviting oil exporters, who took part in the agreement to limit OPEC+ outputs, to join a new oil cartel. The only feature that would distinguish the new organization from its existing equivalent would be that the leading oil producers, which include Russia and Saudi Arabia, would have more voting power, contrary to OPEC’s principle of “one country, one vote”. The Bloomberg Agency even maintained that Russia sorely needs such an organization in order to manipulate oil outputs and prices to meet the needs of its budget. Saudi Arabia’s purpose in this “plot” would be to ensure Iran’s weakened influence and isolation, which leads to the conclusion that Moscow would be willing to cooperate with pro-US Riyadh and not with its traditional ally Tehran in this endeavor. The fact that this is not true, but yet another red herring from Western oil analysts, is supported by the fact that the consequences of such a “plot” would be far too transparent to the other OPEC participants. Hence, hoping for a mass defection of exporters to this new organization is far-fetched, especially since not only Iran, Iraq and Venezuela, but also Qatar, Ecuador and other oil exporting countries, would oppose such a “cartel within a cartel” structure. Clearly, these nations extract much less petroleum than Saudi Arabia or Russia, but once they embark on a course to increase oil outputs in the long-term, it could lead to a price catastrophe on the market. Thus this fictitious “super OPEC” will most likely remain just a figment of Western imagination, only because a failing organization for regulating oil prices along the lines of the Forum of countries, established by natural gas exporters in Doha in 2008 and meant to become an “OPEC gas equivalent” but yet to have any real effect on the gas market, is simply a burden to the leading oil producers. Not to mention the fact that Russia is firmly against any “plots” behind its partners’ backs, especially those that are as politically important to Moscow as Iran and Venezuela are. 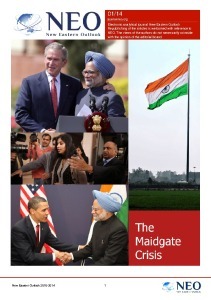 The Russian Federation has little interest in an economic crash there with the resulting internal political instability. 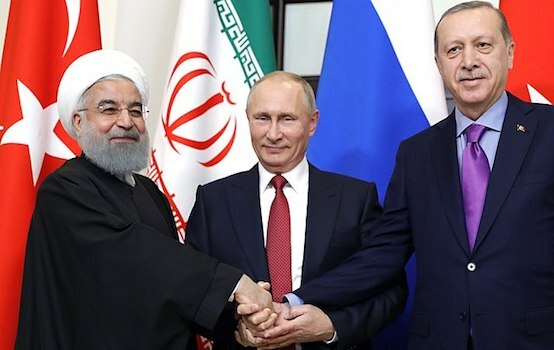 Tehran should, certainly, not take Western rumors to heart, especially since they are being deliberately spread by the West in order to drive a wedge between Russia and Iran.